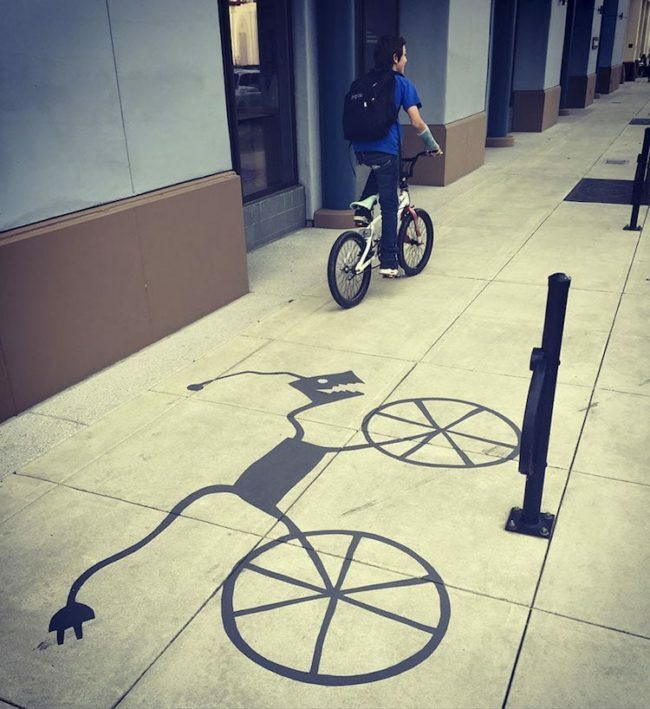 Damon Belanger is a street artist who loves to trick people with his awesome designs. 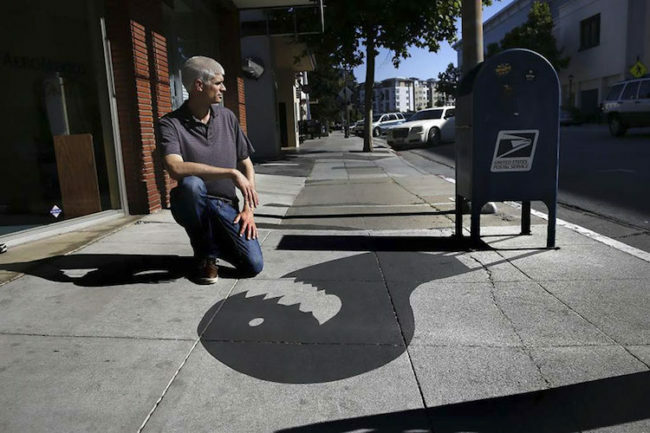 He most recent project is playful street art which gives ordinary objects silly and surprising shadows. 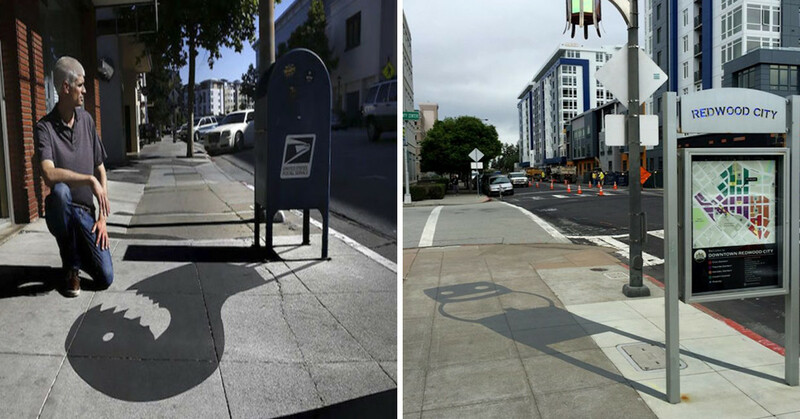 Redwood City in California was once an ordinary city, now it is covered in funny shadows! 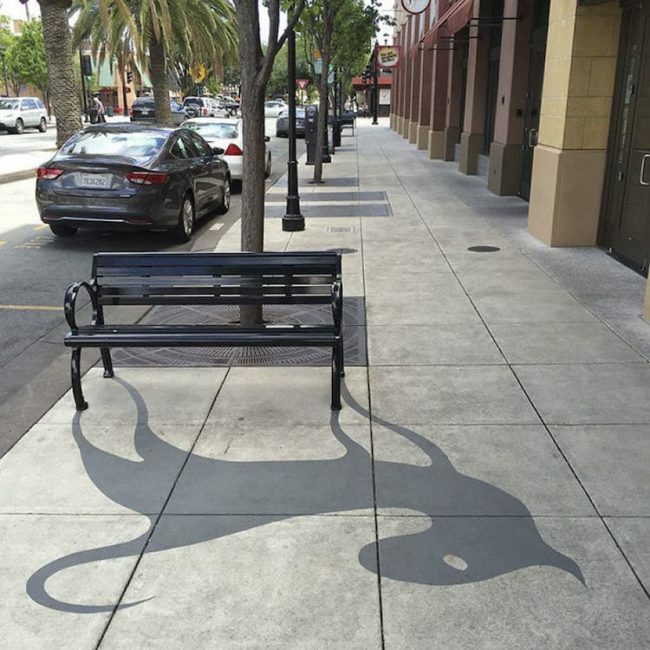 I think this bench’s true identity has just been revealed. 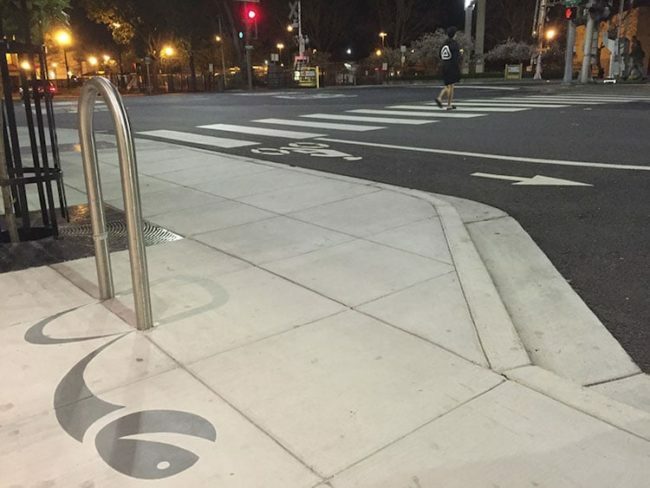 It is actually some kind of monster in hiding…I bet loads of pedestrians had to stop and look at this to figure it out. 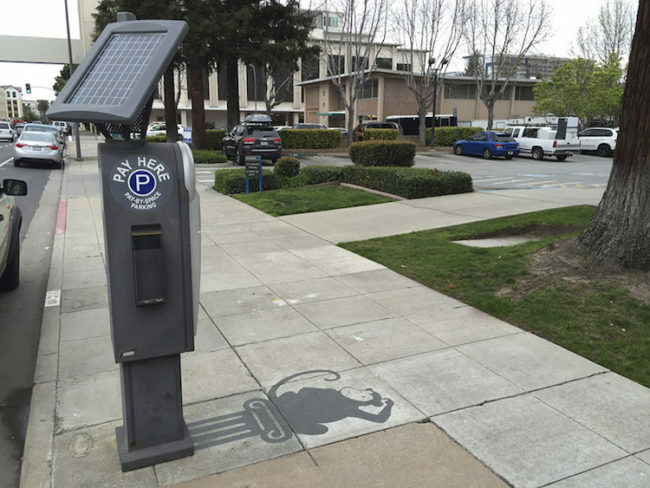 This one is so well done! 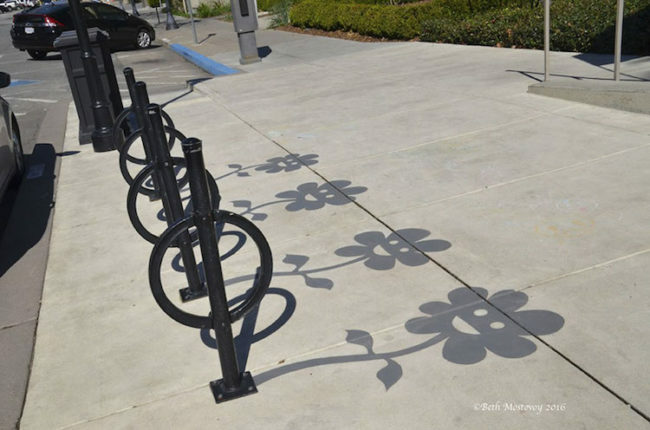 Aww, this shadow should be the mascot for Redwood City. He just looks so happy! 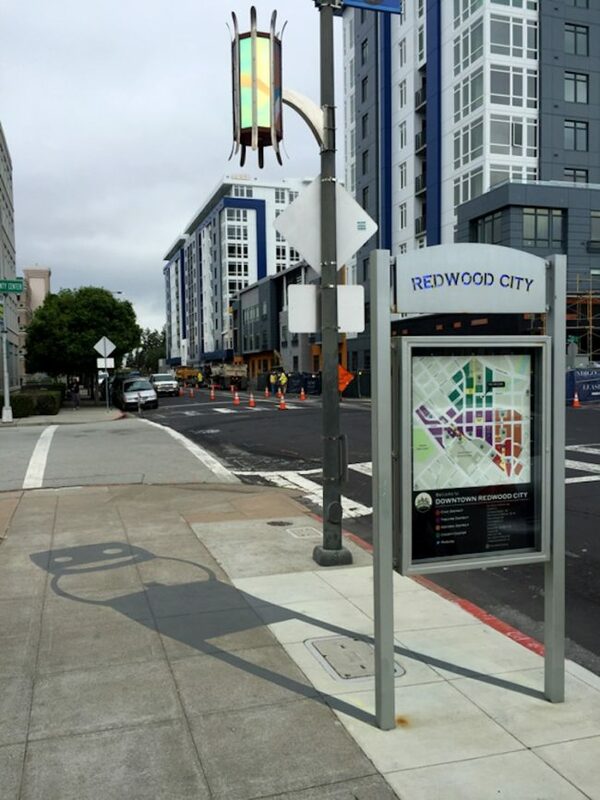 This is such a great way to welcome people into the city and you can’t help but smile just looking at this friendly shadow. 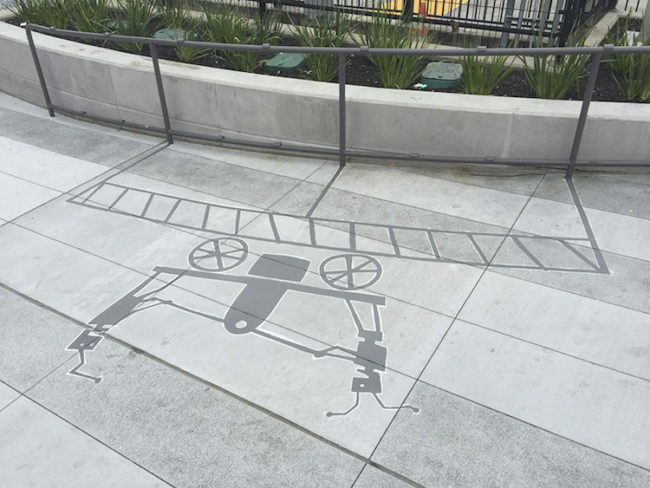 These adorable little robot people seem to be having fun passing bricks around, looks like they are easily amused. 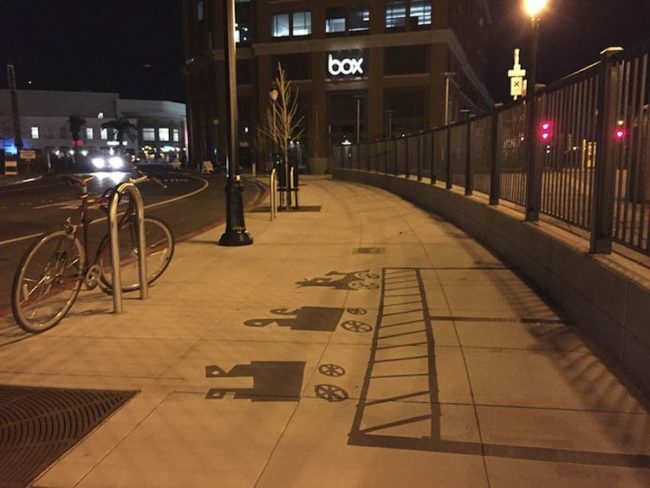 I wonder how many people looked around in confusion to see where these shadows were even coming from! This is the cutest little train of monsters that I have ever seen! They look so cute and happy, the city is now a magical wonderland thanks to Damon and his amazing art skills. 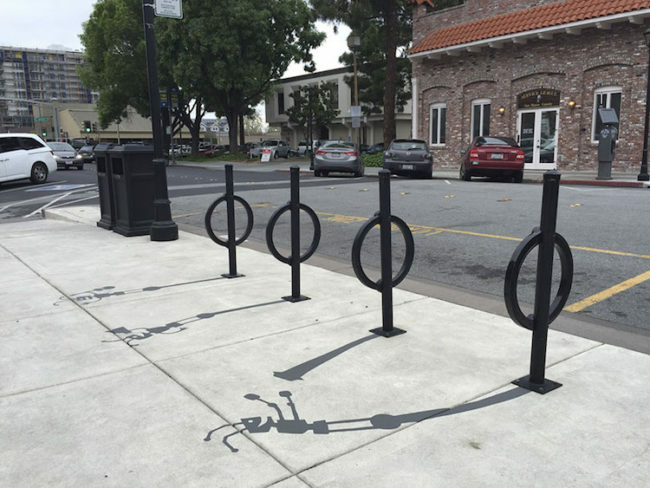 These little shadow people are a perfect example of teamwork and they will hopefully motivate everyone else in the city to follow suit!